Your relationship with your nanny is strained and you come home on Friday and she tells you she is done. Or you open an email or text on Saturday to the news your nanny quit. Things are going well, but your nanny gives you two weeks notice that she is moving to a new job. Whether it is on good terms or bad, there are things a family MUST know and address when the nanny leaves. 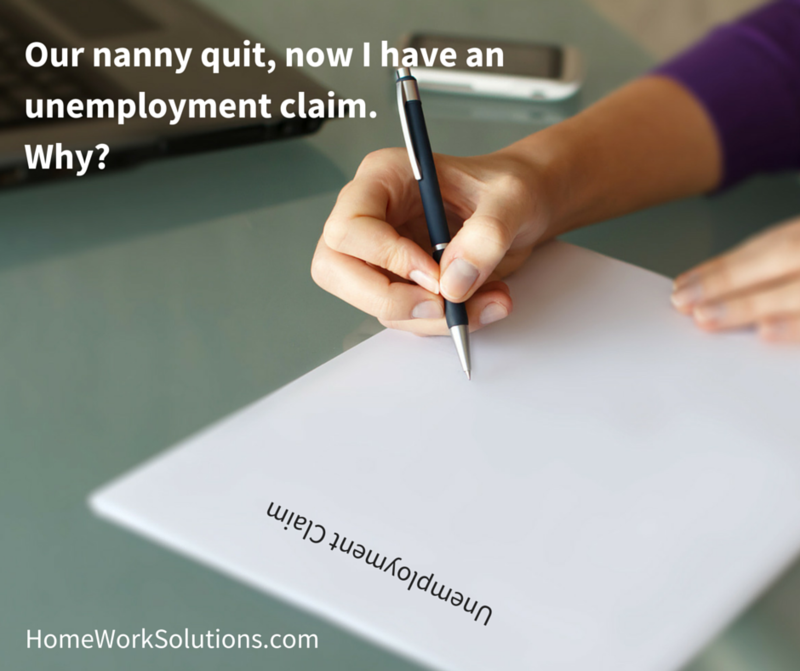 Our nanny quit, now I have an unemployment claim. Why? Q. Our long term nanny quit two months ago to go work for another family. Today I received an unemployment claim form in the mail. Why? 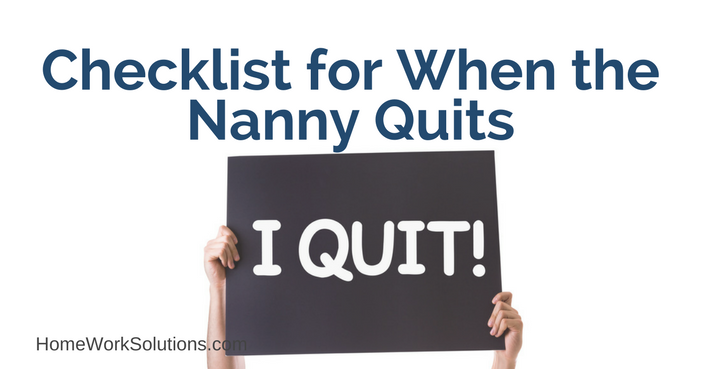 If you employ a nanny, chances are strong at some point you will need to let the nanny go. There are myriad reasons a family fires a nanny. The children grow up and your beloved family nanny is no longer needed. Perhaps the nanny has horrible work habits - always late or a frequent 'no show.' Your family and the nanny simply may not 'click.' The nanny who was a wonderful nurturer of your infant does not have the energy to deal with your demanding toddler. Whatever the reason, firing a nanny can be an uncomfortable experience for both family and nanny. Below are some tips and best practices when letting the nanny go. 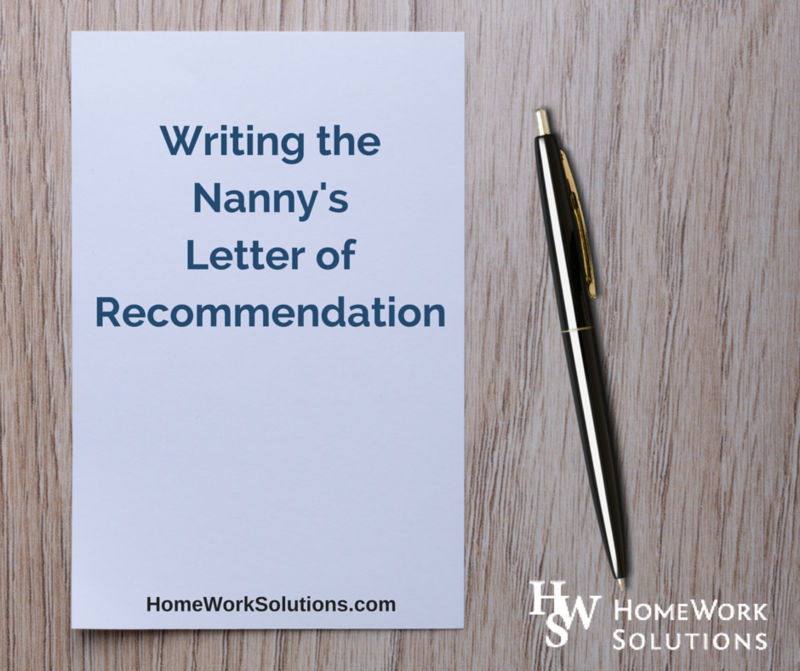 Household staff, and nannies in particular, find that a former employer's letter of recommendation is an important part of his/her professional portfolio. The nanny or house manager often uses this portfolio, which is a collection of materials including her resume, work history, educational certifications, and examples of her work, to help 'sell' herself to prospective employers in the job interview. These letters are an important initial reference for families when they begin screening potential nannies and house managers. 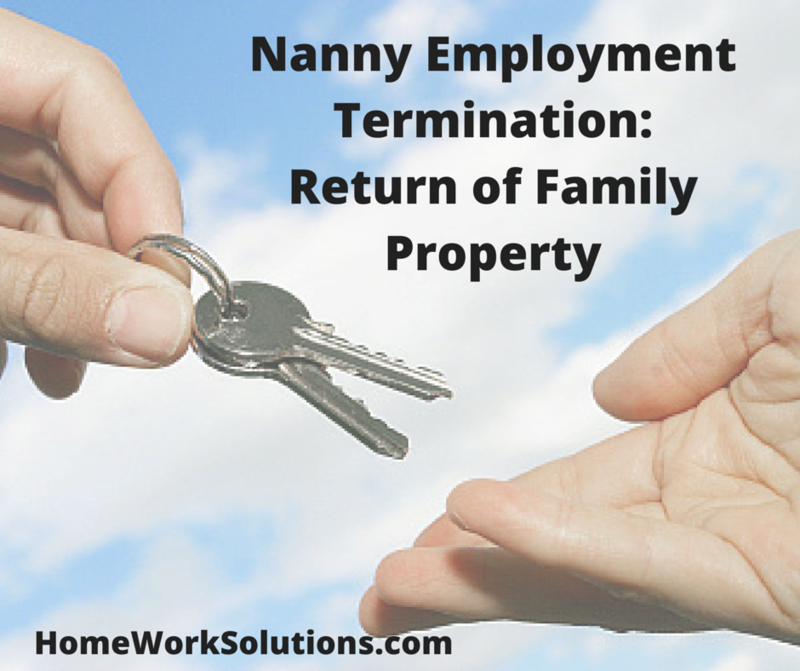 Note: Special thanks to our guest blogger, Bob King, for his discussion below on nanny employment termination and the return of family property. Bob is an attorney and founder of Legally Nanny, the leading law firm providing legal and tax advice to household employers. The very challenging economic climate we find ourselves in has some predictable effects on nanny payroll. 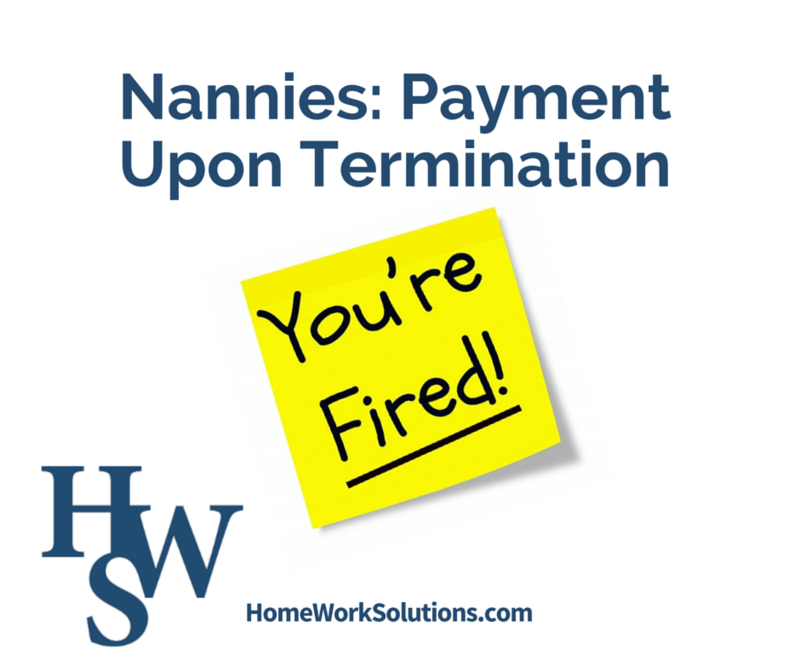 Many nanny employers, when faced with a job loss or income reduction, need to take immediate steps to change their household expenses, and firing the nanny is often an unfortunate consequence. When the employee (nanny) is involuntarily discharged, the timing of final wage payments is governed by state law. California for example requires that the discharged nanny be paid all wages due immediately at the time and place of discharge. The District of Columbia, Illinois and New York (and many other states) require that all wages to the discharged nanny be paid no later than the next business day.